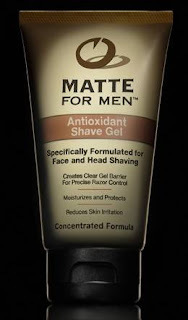 Receive a Free Matte For Men Antioxidant Shave Gel ($16 value) with all orders over $50.00. I'm a huge fan of their "All-In-One" moisturizer and this stuff is the bomb too.... and it smells good! Hurry, this ends March 31st. Just entire the code "FASG" in the "Comments" section when checking out to receive a FREE tube of the incredible Antioxidant Shave Gel. Its' that simple!